These are photographs of a woman gardener working on a flower bed near Nasik in Maharashtra, India. In her hand she has a curved iron scythe to dig up the flower bed. 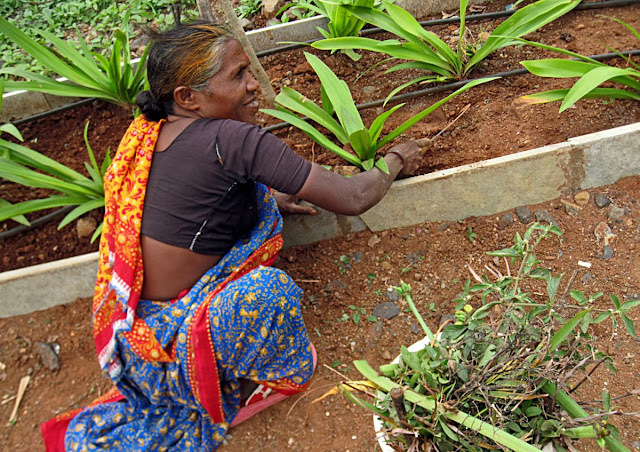 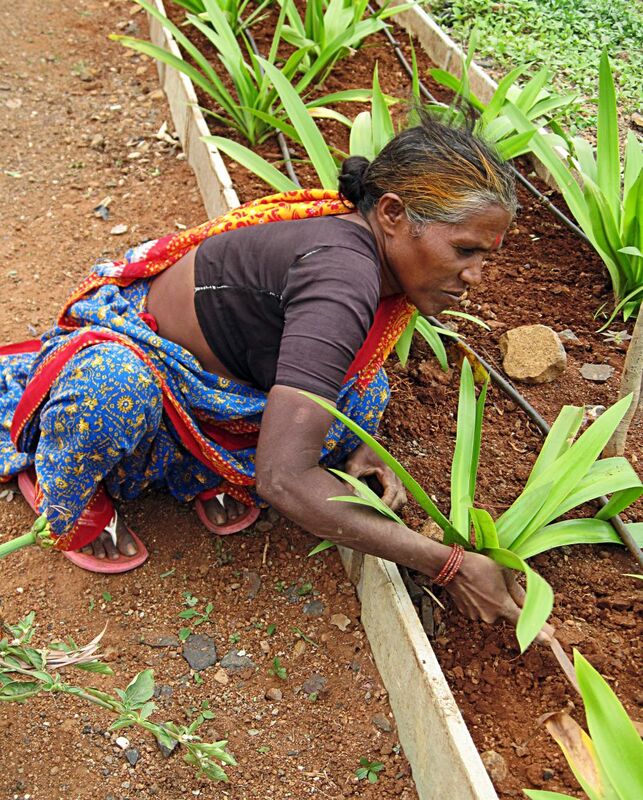 Here is the same woman, busy loosening up the mud in the flower bed so that the plants gets enough oxygen to its roots.